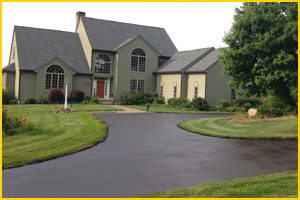 Connecticut Sealcoating is a top asphalt contractor in Shelton, Connecticut. Through consistent customer satisfaction and hard work, we have established ourselves as the go-to asphalt company in Connecticut. 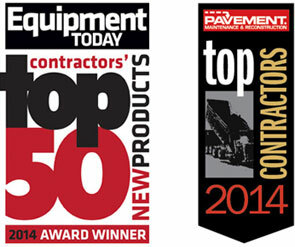 Our crew of asphalt professionals can help you on any of your residential, commercial, or municipal asphalt projects. Whether you are in need of asphalt repair, sealcoating, or other asphalt paving services, we are the one stop shop! Give us a call today! Shelton is a city located in the U.S. State of Connecticut and is located in Fairfield County. The city has an estimated population of approximately 41.500 residents. Shelton was originally settled by the English in the late 1630’s. It was later incorporated into a town in 1789. It wasn’t until 1915 that Shelton was officially incorporated into a city. The city of Shelton has a number of interesting facts, events and locations that are popular in the area. In November 2006, a christmas tree that was growing on Soundview Avenue in Shelton, Connecticut was selected and cut down to be the Rockefeller Center Christmas Tree in Decemeber of 2007. This is one of the most well known locations for a decorated Christmas Tree and is a point of pride for the city of Shelton. In November 2013, a tree located on Kazo Drive was selected for the Rockefeller Christmas tree again, making it the second to be selected from Shelton. Shelton has a number of important neighborhoods that are very prominent in the region. Some of the most well known of the neighborhoods are Downtown, White Hills, Bridgeport Avenue, Huntington, Pine Rock Park, Coram Gardens, and White Hills. There are some important locations that are in Shelton as well. Shelton has three listings on the National Register of Historic Places. The Commodore Hull School, the Huntington Center Historic District, and the Plumb Memorial Library. Shelton, Connecticut is very important to our crew at Connecticut Sealcoating. We are happy to consistently provide premier asphalt paving services for residential, commercial, and municipal clients. Contact us today! Learn About a Recent Shelton Asphalt Job!